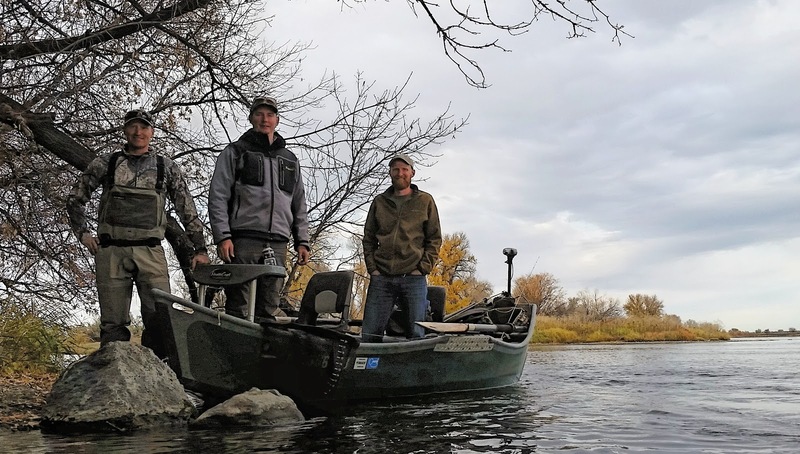 Squeezing fishing trips from every possible situation. 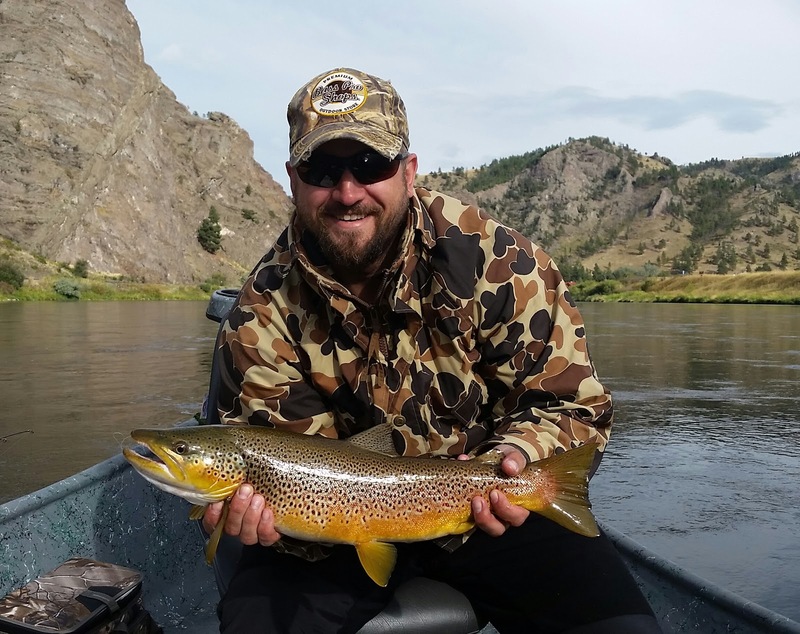 Hunting season has a way of interfering with fishing. Or at least elbowing it's way to the front of the line. [Not that I'm complaining!] Priorities shift for a brief span of time each fall - and right when some amazing fishing is heating up. [Okay, maybe just a little.] 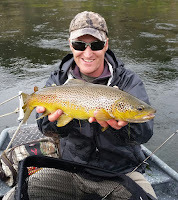 I always hope to be successful early and then get back to fishing. But that really isn't ever going to happen - even when successful, there are more tags and more hunts to shift the focus to. I did however run a couple September float trips for folks during the archery season, both of which saw some good action. I even got to fish myself. Then by March the first round of big game drawings must be submitted. Earlier for turkey. From then on you're either putting in for more drawings or looking at results of previous ones. Plans are always evolving as the summer continues and drawings are held. I fared well this year and drew several opportunities across the state for various species and picked up a few surplus tags as well. I held multiple tags for each species I hunted and managed to take bull elk, antelope buck, and mule deer buck. 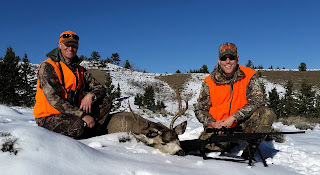 I also had the privilege of being joined by a friend from out of state for a late season deer hunt on his first trip to Montana. 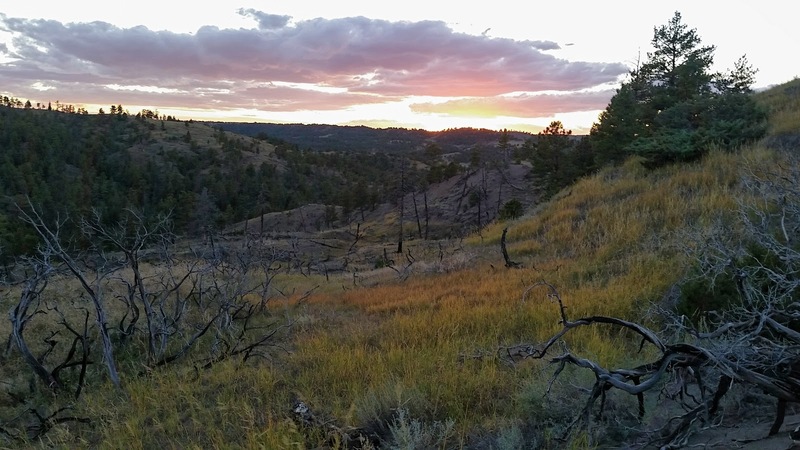 hunting the past few seasons by bivvying where night finds us, leaving us totally free to follow elk with no fear of ever getting "too far from camp." No more hiking miles in the dark back to base camp just to get up early and hike all those miles back again before daylight. But we've also learned to save time and resources when there's no action and pull out - either to jump to a new spot or take a break and return later. After making a few day hunts from home following our initial trip (mostly because I had a cow tag for a local unit burning a hole in my pocket), we packed up to head back to the Breaks for another longer hunt. 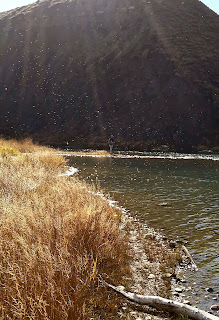 But before I could leave, I couldn't help but string up a fly rod and hit the water for a night of full moon mousing. 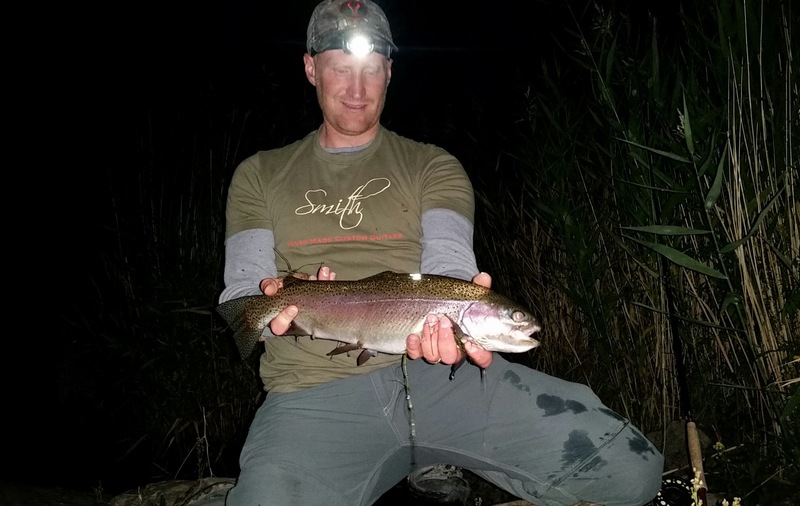 While JJ was home readying his gear and sleeping like a sane person, I was scrambling over rocks in the moonlight and swinging mice along shoreline structure. I knew it'd probably be my last chance of the season. 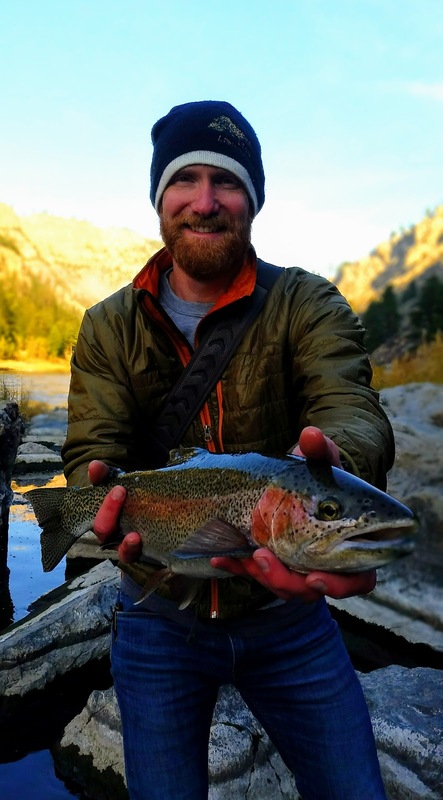 Didn't find any big September browns, but I found a few rainbow mouse-eaters. 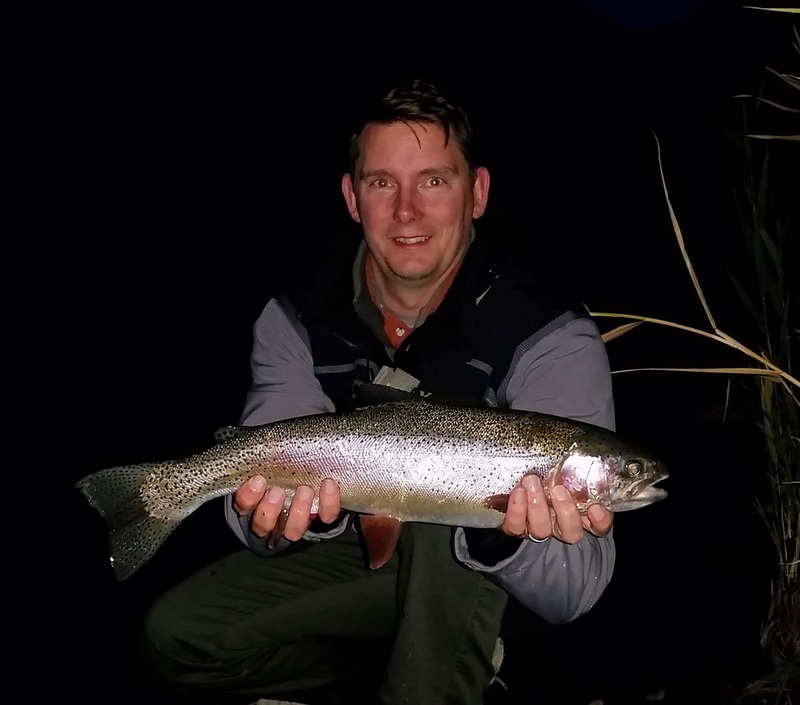 Landing those fish meant that I had hooked and netted at least one fish on every mousing adventure I had made during 2016, and that was pretty satisfying. Since I would be leaving after sun-up for another four-hour drive back to the Missouri Breaks, I cut it off early and caught a few hours of sleep. Twelve hours later we were on foot packing in for the second big push, hiking across dry drainages and up dusty ridgelines. 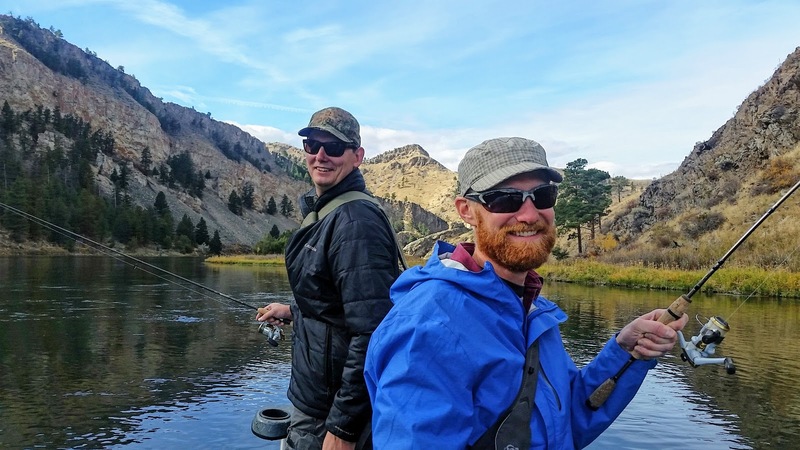 We were trying a new area - navigating across a wide creek bottom, cutting around some private land, and then drifting out into an expanse of BLM that we had been glassing into from miles away during the previous week. Hopefully there'd be more elk here than where we'd started. At about three or four miles from the truck we heard our first bugle. That was already more than last week. The bugles grew more intense as we made our way towards them. Dusk was coming fast, but we spotted a few animals on the ridge opposite us, separated by probably a mile of hiking. We could make out at least three individual bulls by the location of the bugles. We set up our bivvy camp, being careful to dodge the cactus, and lay there all night listening to their music. They never really went anywhere. The ridge they were on was mostly private land, but it was surrounded by plenty of public land and timber they'd likely head into during the following day. We started moving before daylight - camp stuffed back into our packs (I've never gotten a picture of camp because it is never set up during daylight). We needed to get around a property corner that we could see lay ahead of us on our maps. After we rounded that corner, the land ownership would open up. The corner was on the ridge the elk were on, and being at least that far before light seemed key. 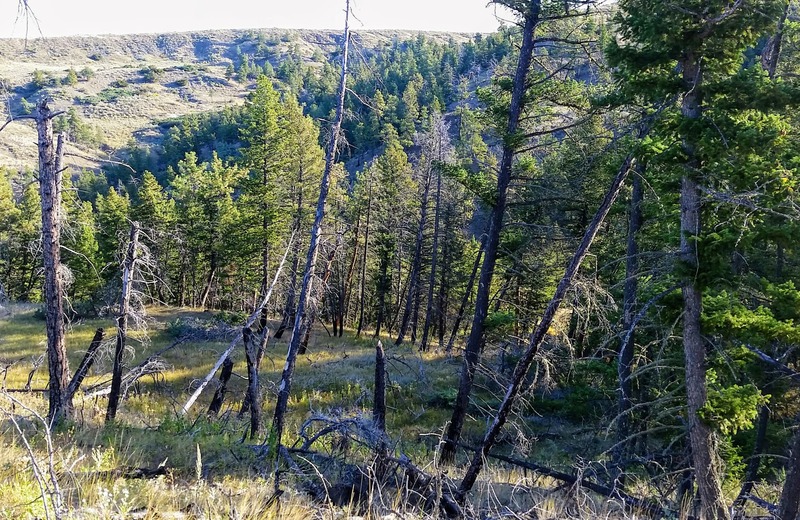 to the outfitter, but then turned and started the descent into the draw that deepened and became more rugged as it dropped into the public land. 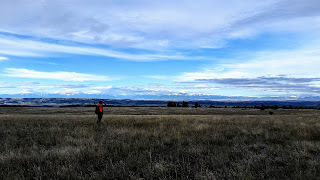 We gave chase and eventually lost the guide and client as we clamored up and over one ridge after the next trying not to lose sight of the herd. But no one can keep up with elk. 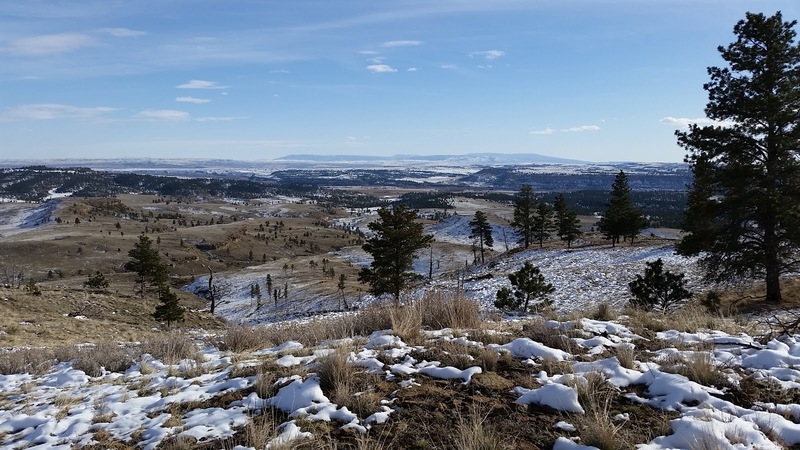 After a particularly long climb we found ourselves back on the main plateau top with a broad piece of treeless ground between us and the next draw. It was half a mile away, and realistically the herd could have gone just about any direction within 180 degrees. The morning was dragging on. 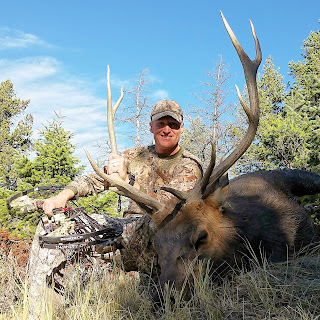 It was basically time for any elk to bed down, and we slumped to the ground under the last piece of shade we'd see for a bit to catch our breath. Glassing behind us revealed no sign of the other hunters. It was like we were checking our back trail in an old Western movie. We joked they were probably back in a lodge eating lunch, grumbling about the riff raff who'd come out of nowhere. Glassing ahead of us on the visible slopes revealed no elk. They had to have gone down where the timber is thickest. It only made sense. 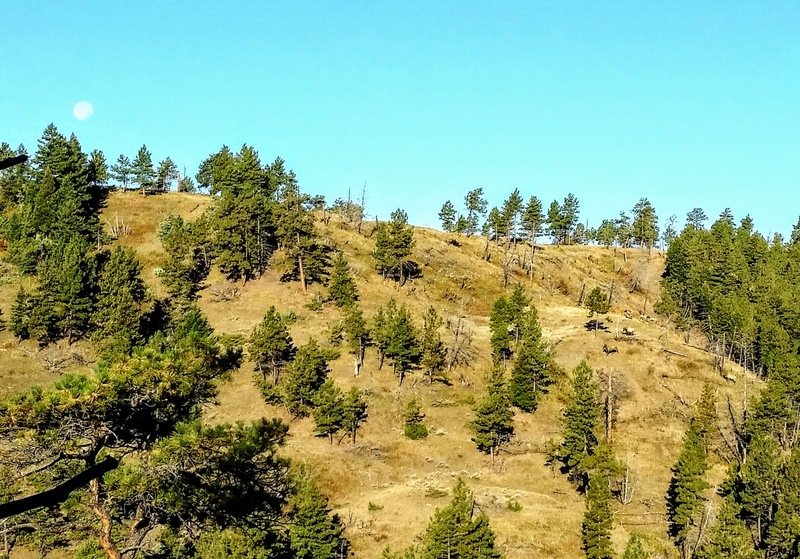 We pressed on, picking what seemed like the most likely direction the elk would have traveled, and made for a narrow ridge with a bit of a pinnacle on it do some more glassing. From there we moved once more over another narrow ridge that blocked a lot of canyon from our view. It'd been nearly an hour now since we'd last seen or heard them. It was just about time to start over - wandering and glassing and hoping to find more. And then there was a bugle. Directly below us in the main canyon on the opposite slope. The herd ambled into view and sifted through the trees. The cows headed into a patch of timber and climbed upslope into the thickest of it, disappearing from view. The bull hung at the bottom thrashing trees and feeding along. JJ wanted to watch them bed and plan our move for the evening. That'd be normal, and made sense. But that bull wasn't going anywhere. It had been a while now and he hadn't made any progress towards the cows at all. And where were the satellites? We hadn't seen them yet, and the bull had not been successful in completely running them off all morning. They couldn't be far. I floated the idea of charging down on that bull. He was within reach. Almost an easy rifle shot away, pre-occupied with raking pine trees and juniper. I figured we had a better chance right now than we'd had all season, especially being separated from the rest of the herd. I didn't have to do any arm-twisting. We dropped down the steep banks using the terrain to shield our movements from his position. In just a minute or two we peered over the last little rise before we would reach the bottom of the draw and start the climb toward the bull. He was still there, about the same elevation as us. We separated now, dropped to the creek bottom, and then moved into the timber of the opposite slopes in unison about 100 yards apart. The bull was always moving, so it was hard to peg exactly where he'd be. And climbing up toward them is never preferable. The initial climb was tough - hands and knees up what was probably an old head scarp from a previous landslide. It flattened out considerably when I crested and stepped into the timber. I glimpsed the bull above me, approximately 80 yards. Steep, and the wind was bad. I decided to try and flank to keep the wind as good as a could. At least it was strong and steady. But that I was the last time I saw him. I hadn't gone far into the trees when I spotted one of the satellites 50 yards away in the opposite direction. Perfect wind. He was feeding with gusto and paying no attention to anything. Not a cow in sight. I couldn't ignore this. Not only was the wind blowing from him to me, but it was blowing just hard enough to be noisy and provide great cover sound. I turned my back on the herd bull and slipped right up to 30 yards of this one, keeping tree trunks between his head and me. He was feeding in a small clearing. I stepped in front of the last cover when he was facing the other direction. There was now nothing but a small clump of bushes between us, and he was walking a path that would bring him into a wide shooting lane in seconds. This was really going to happen! I drew as he passed behind the bushes and when he stepped out into the clear I was at full draw and motionless, standing as if I were on a target range. He looked my way, practically facing me, then turned and continued across the clearing. He paused to sweep the ground in search of what he'd eat next. He wasn't perfectly broadside. Still slightly quartered to me. But a step forward took the foreleg out of the way and opened up a path to the vitals - at less than 30 yards there was no way to miss. I was amazingly calm. There was no heart race. No buck fever. No trembling. My pin just hovered where it was supposed to and I aimed for just where I wanted that arrow to go. I watched the arrow sink to the fletchings and the bull was gone out of sight in an instant, crashing through the brush and into the canyon. The second satellite appeared and watched his counterpart run off. He didn't seem bothered by the departure and just walked away. I hung a marker flag and sat down to eat some food. My Clif bar tasted way better in this moment than any food that client was eating back in his lodge. That shot had been a long time coming, a lot of seasons in the making. But I still wasn't shaking. Just strangely calm and matter-of-fact. I looked at my quiver. An arrow was missing. It was real. I checked the time. I waived JJ down when he appeared high on the ridge above me. I held my bow and made exaggerated motions of drawing and letting go. Then the drudgery began. I would later learn that because the bull was slightly quartered to me - more so than I'd determined - the arrow had traveled a path that wasn't ideal, despite the excellent entry point. It did the job, but the steep terrain let him continue his momentum for half a mile before the job was complete. I will definitely be thinking a lot harder about body angle before I shoot an arrow into an elk again. The arrow never exited, but because it was so deep it never came back out either. 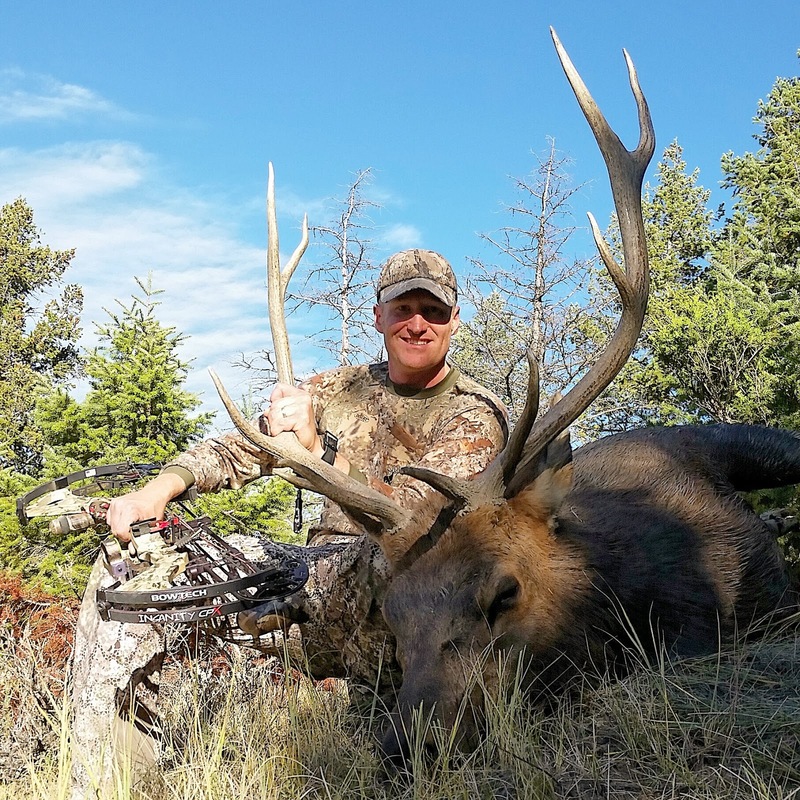 It didn't even break off till the elk fell over, and even then it was only a couple inches below the fletchings. There was very little blood trail. It was an easy track through the steep timbered spots - the kicked up duff and broken undergrowth. But it was next to impossible in grassy open spots. One such expanse of a few hundred feet cost us nearly two hours of hands and knees work. A drop here, a drop there. 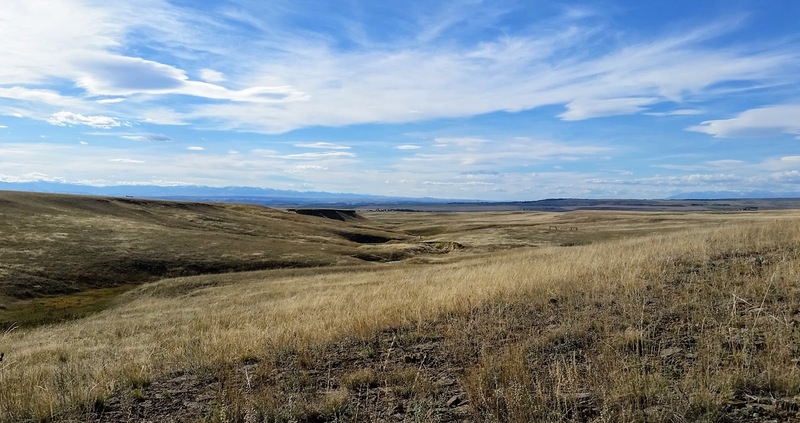 Then, when it hit the broad draw bottom that was nothing but wetland grasses and tracked-up earth from every other animal in the area, the trail fizzled to nothing. I could make out that it crossed and tried to climb the opposite side, and I also found where it turned and crashed back through a fallen tree and returned to the draw bottom. The good news was it obviously couldn't make it up the slopes and out of the drainage - but even with that knowledge, we could turn nothing up after combing that draw for hundreds of yards. Hope was fading. It was well after noon now and all our water was gone. It was obvious we had to abandon the effort and find water. The nearest source we anticipated on the map was about two miles away. When I reluctantly turned around and started climbing back out of that drainage, I was only 40 yards from my bull. Later that afternoon I would return alone to continue the search and find the elk within a couple minutes of starting where I'd left off. I had him deboned and bagged before dark. The bags were placed on a makeshift pallet of logs I'd constructed in a shady draw. 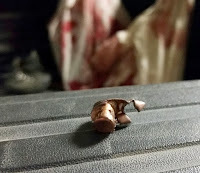 The stripped head was in a tree above the meat. I met JJ at our prearranged spot back up on top and set up a bivvy camp in the Breaks for one final night. The first load in the morning - following another exciting chase after bugling elk at dawn - would be 7 miles. The next would be shortened a bit when we figured out a way to move the truck closer. 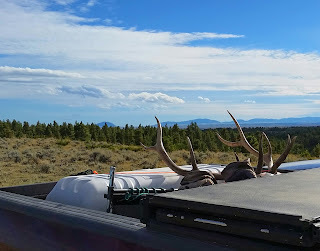 And then I got to be one of those obnoxious folks on the road with antlers jutting out of the truck bed. 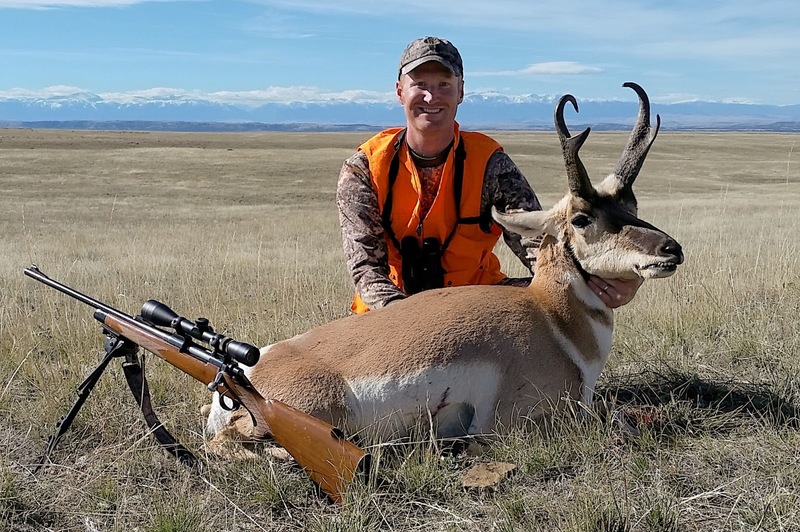 Opening of antelope rifle season was the next focus - and the only day I hunted pronghorn in 2016. It was a nice switch to have a rifle in hand after a previous month of archery hunting. This was my rifle's 20th season afield - a left-handed Remington model 700 in .270 that my dad gave to me during my junior year of high school. 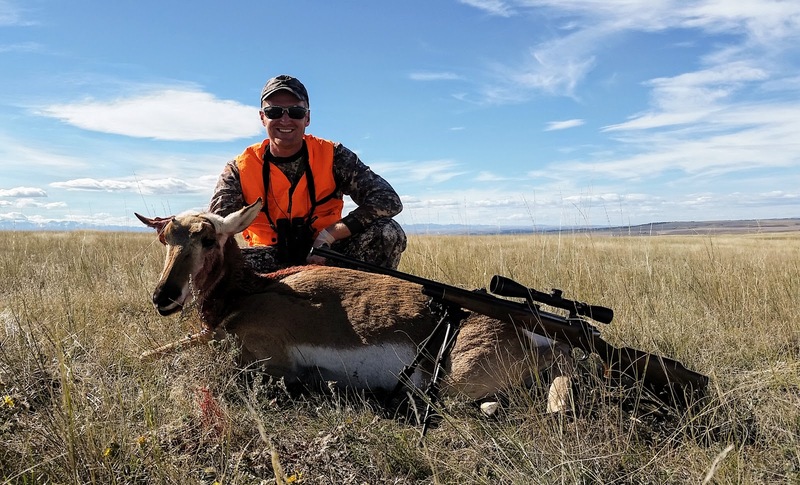 My partner Travis and I had drawn antelope tags in a decent area, and we had permission to hit several square miles of what should be some pretty good ground. It turned out to be better than we'd anticipated. now headed towards yet more antelope. I couldn't tell if he knew it yet or not. I used the drainage and walked the twists and turns toward my herd, closing the last mile. As I neared the head, the drainage channel diminished, the terrain opened up, and my cover was lost. It was hands and knees to the next vantage point, then a belly crawl to a shooting position. It would be more than a month till I removed the final prickly pear spine from my shins. I can never resist a good scope pic. I'd closed the distance to under 300 yards from the bedded herd after first spotting them at about two miles. Now it was just a waiting game till the buck stood. There was always at least one antelope standing and feeding while the rest of the herd remained bedded. They seemed to take turns at this, and eventually the buck stood. He toppled as the herd left the bowl, but I wasn't able to single out a doe to fill my second tag. Even before I could begin the quartering process another buck passed through the drainage. I sat back and watched as he walked the rises and falls of the prairie like a ship on the ocean. I snapped a shot of him in my scope. Then again, before I was done deboning my buck, another herd appeared sky-lined on a ridge almost within rifle range. I plucked my rifle from where it sat on its bipod and began another crawl. The crawl became a run as the last of the herd passed from view over a rise. I caught up with them on the other side and connected with a 300 yard neck shot just as the herd was beginning to get uneasy. Travis also filled his single tag between my shots, meaning we'd tagged out on antelope by early afternoon of opening day. Three animals and a four mile pack back to the truck. pinnacle of a main ridge jutting perpendicular to the mountains and forming the slopes of the draws that lead down to the crops, two miles from where I stood. Between my position and the mountain the ridge plunged into a deep saddle before blending into the flanks of the mountain. The BMA had provided an excellent access point. As light illuminated the distant fields, my scouting efforts began to unfold. There were elk in the field. And several had already left. They were heading up the draws, in my direction, toward the low saddle, just as I'd imagined while pouring over maps. I watched as long as I could before they disappeared into the cover that increased as they moved upslope. Then I moved into what I thought was the best position to intercept them. They could realistically pass anywhere within about a 600 yard swath. I practically bumped into them in the junipers and sent a cow or two running away without ever seeing them. The herd shifted their path and headed out onto the ridge I'd climbed in the dark. I knew there was nothing that direction - no cover, no bedding areas. They would either switch mountain ranges, which seemed unlikely, or stay on contour and wrap around that ridge and back to the same saddle. 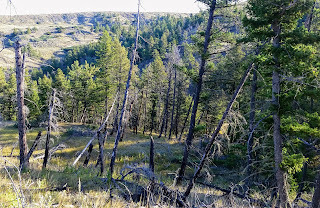 I ran up and through the saddle as the elk went the opposite way, passed through the gap, and dropped down into a new drainage. The elk indeed wrapped around that long ridge and were now again walking toward me. They had traveled more than a mile since we'd parted, I had gone only a few hundred yards. The herd passed beneath me at about 400 yards but never provided a shot I was happy with - except the bull of course.... I was now running along the sideslope as they moved away toward the mountain, trying to get another chance. But they were across the next draw and entering the timber before I was able to set up another opportunity. I'd played them just right - twice! It was satisfying, but defeating at the same time to not get a shot. Still, I pushed on, although way behind them now and climbing steep terrain. But I'm learning not to give up with elk. 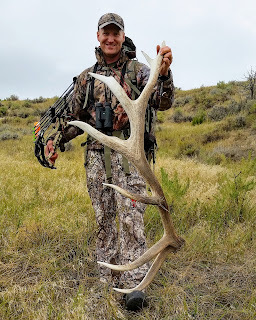 You just never know, and the bull I'd shot just a few weeks before had also been the product of pushing on even after we'd initially lost them. As I climbed up a steeper ridge into the thickening trees and increasing rock outcrop the bull suddenly bugled a short couple notes. And it wasn't all that far above me. I pressed on and found a clearing across a narrow draw, 300 yards above me. In the small portion of the clearing visible to me stood the bull and a single cow among boulders. She was feeding her way up slope. I got in position, fine tuned my scope each time her yardage changed, and waited for the right moment. Although a bullet is more forgiving than an arrow, I didn't want a repeat of my bull. She went less than 40 yards and tipped over into a large juniper. I had to spend as much time quartering the tree as I did the elk. I managed three pack trips given it was only about a mile to the nearest two-track road and all down hill. On one of those pack trips I happened across the back half of an old cougar skull. Another little little gem in the mountains. One day I'll get a chance at one still alive. With four tags filled and a few weekends till my primary deer hunting focus would be underway, I had some wiggle room. My early success with the cow took some pressure off. It's not every year you can draw a cow tag, and when I have one I want to make sure and put it to use. 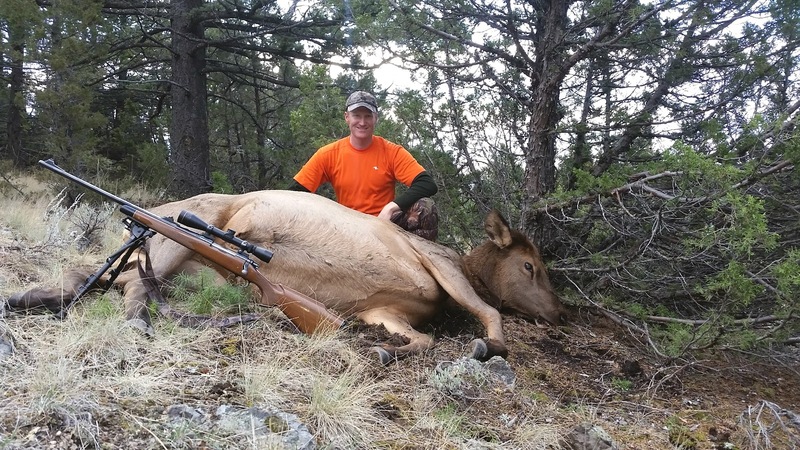 These early weeks of rifle season would have been spent hunting for that cow but were now free for relaxed pursuits. The freezer was in a very healthy, if not satiated, state. The inevitable happened, no picture was captured, and I was ribbed tirelessly about it the rest of their trip. "Hey Bryan, nice fish. Want me to cut it off for you before you land it?" Warm weather extended deep into fall this year, before winter came with a vengeance. 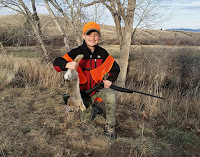 I was able to get my kids out on some hunts. One day we tried to get out together and look for some mountain grouse. We were unfortunately run off the mountain by an intense storm, but that sort of thing can make memories last more than if we'd gotten a bird. We barely made it back to our truck after observing the solid steely wall frequently backlit by lightening. Once inside the truck I jockeyed it against a tree for shelter as best I could as the hail began hammering. The landscape became white. Another day I picked up my son from school and went straight for the woods. Our main focus was to see if we could find him a rabbit. We'd recently purchased a .410 shotgun and I wanted him to have some early success with it. We wove in and out of brush and bushes along a creek bottom and picked our way along field edges. Eventually, at the top of a bank above a thickly wooded side slope, he got his chance. He kept his cool, settled his aim, and picked off his first animal as it sat a short distance away. He ate the entire thing that night, breaded and pan fried. Another day was my daughter's turn to be picked up and taken right to the field. 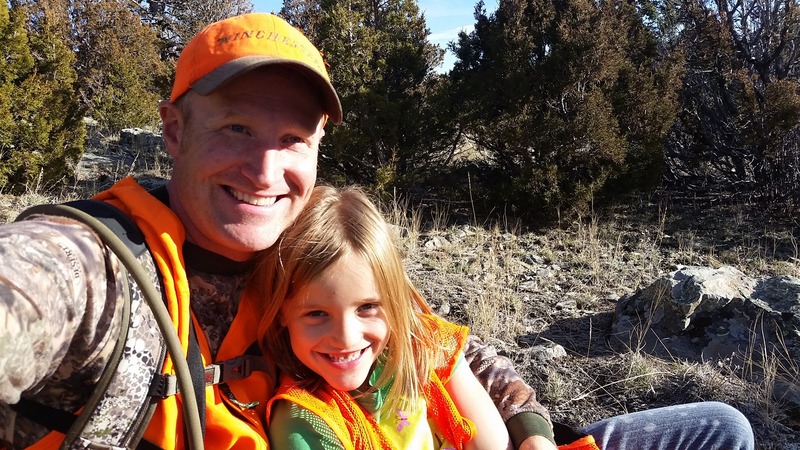 My son has seen me take two deer during previous years, but my daughter is yet to be with me on a hunt where anything was harvested. I was really hoping to get that experience under our belt this season, but it will have to wait till next year. We had a great hunt - climbing hills, peeking over ridges, discussing stealth and observation, etc. 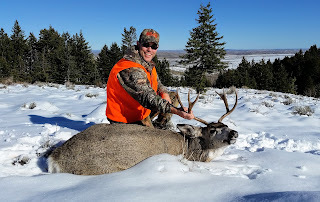 We jumped a mule deer buck that provided good looks, but we weren't in a unit that my tag was valid. We found a group of elk and got some quality time behind the binos. If I hadn't already tagged out, we probably could have made a move on them. Instead, the excitement for my daughter became just being able to locate them through the binoculars without frustration and to take looks through the rifle scope. As dusk was falling we glassed a whitetail. It was several hundred yards away, but in terrain we had a decent chance of putting a stalk on it. 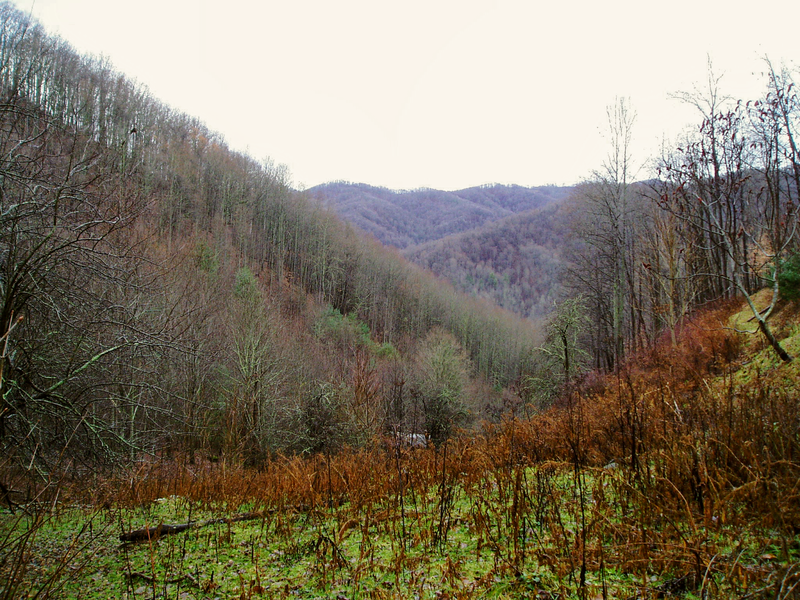 It was our opportunity, but she was cold and worn out, and so the hunt became a joyful ride on the shoulders back to the truck as we descended the mountainside. Deer hunting is my favorite of the big game pursuits. Maybe its simply because I've spent my whole life doing it. Maybe I just have a better handle on it. Or, most likely, because the nature of deer themselves appeals to my approach to the woods - silent observation being my preference. Yet deer hunting varies quite a bit from place to place with regard to tactics used. 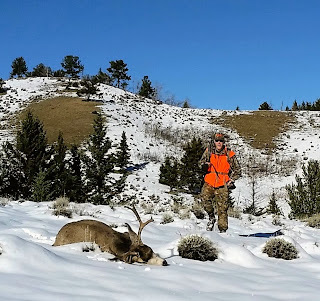 I haven't done much traveling specifically to hunt, but I've moved around a lot and as a result have taken whitetail in the Appalachians, in Southern coastal swamps, in the Texas post-oaks, on prairie river bottoms, and on flanks of the Rocky Mountains. I have taken blacktail in Pacific Northwest forests. 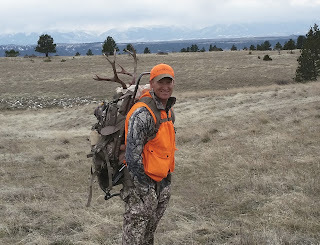 I have taken mule deer in Rocky Mountain wilderness, in sagebrush prairie, and in piney steppe terrain. 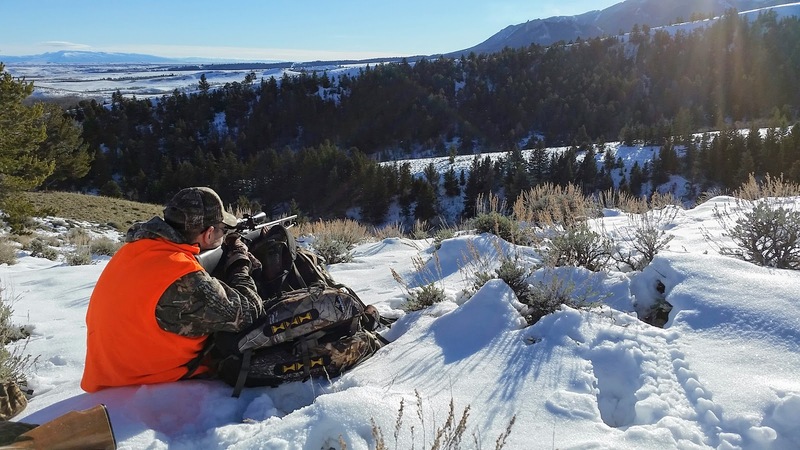 At its core, deer hunting, regardless of the species, relies most on observation. Seeing before being seen. And I have a reputation for spotting animals - seeing the unlikely. The skill seems normal to me, but not to those with me. I have always valued observation, and my eyes are forever searching, regardless of what I'm doing. 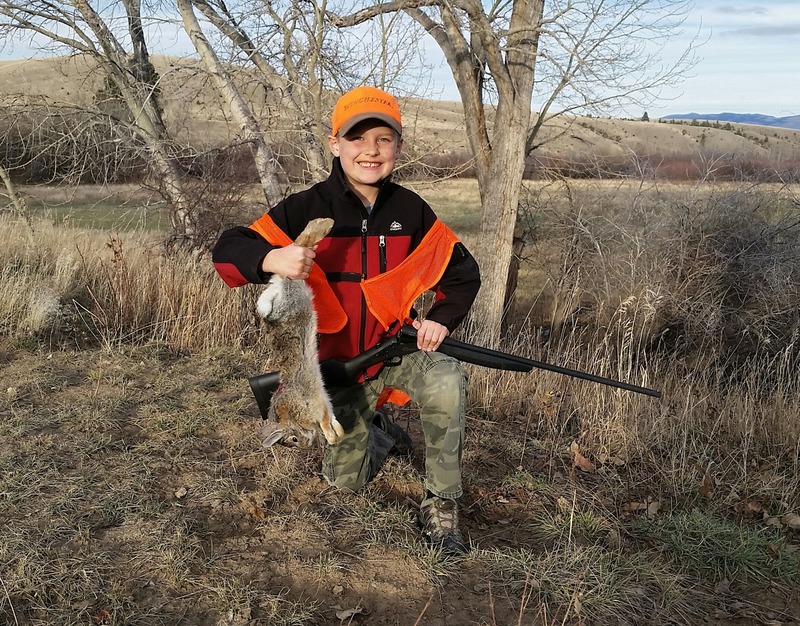 I spent my entire childhood - starting at age four when I was given both my first powerful slingshot and a recurve bow - putting a serious dent in the local population of birds, rabbits, and squirrels. It ramped up considerably by age 8 when BB guns entered my life. I used to find rabbits in the briars by spotting a soft black eye, a pink ear, or a patch of hair. 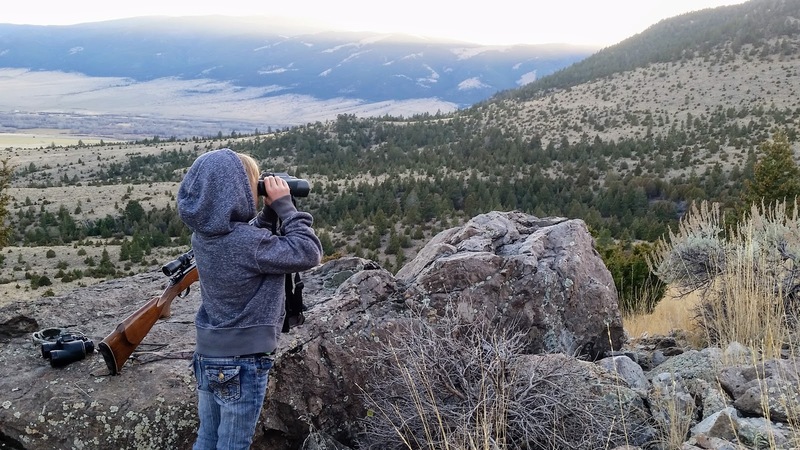 I attribute my spotting skills to my endless days of looking for small game as a kid. And my marksmen skills to always shooting for head - whether an animal or any dandelion to cross my path. 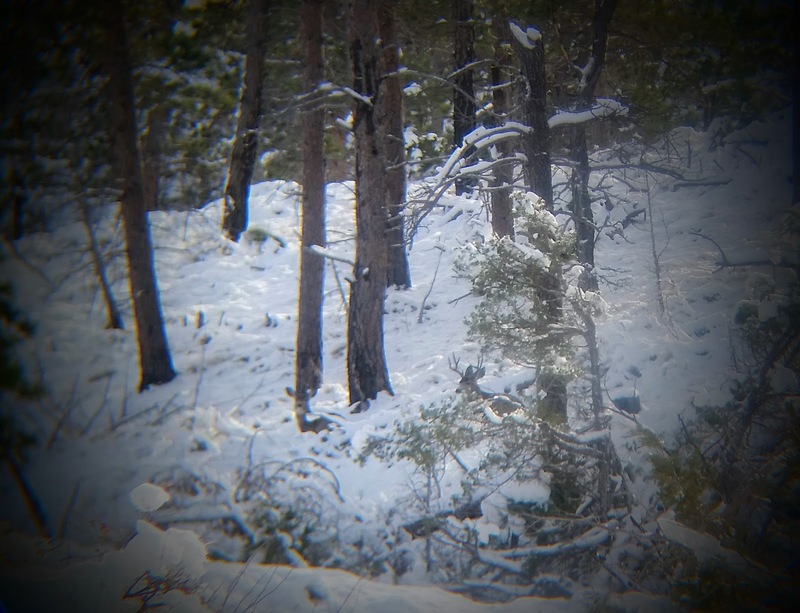 On my first mountain deer hunt my dad showed me a deer by pointing out that all we could see was a hind leg against a snowy slope between two tree trunks. That made a big impression on me - finding things by looking for parts, not a whole. And that deer was across a valley on the slope opposite of us. But really it wasn't much different than spotting a rabbit ear in the briars, the scale was just larger. This fall I had a special trip on the calendar. One that had been in the works for years. 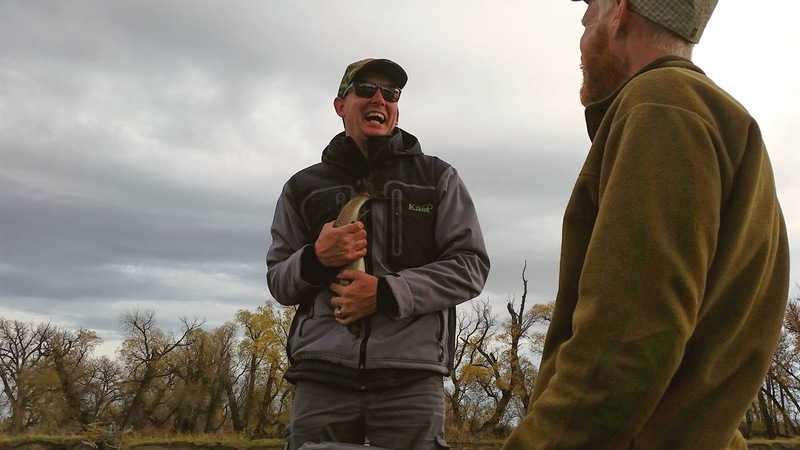 I love to share my passion for the outdoors with others, especially when I'm opening doors or expanding horizons. A friend of mine on the east coast does a lot of suburban deer hunting - small patches of land and almost exclusively from tree stands. Joel had been West to hunt with me once before. 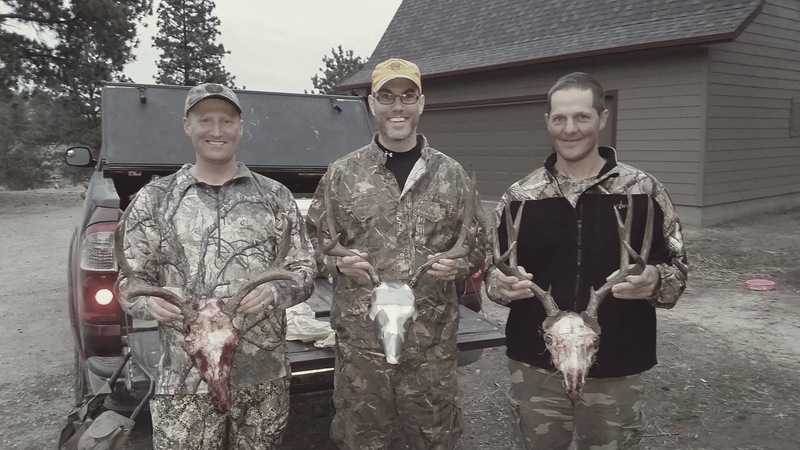 That time an archery elk hunt in the Cascades. This year he was coming to Montana for a deer hunt. As we prepared for the trip, I remember asking the question - "does four miles sound like a lot?" I was trying to gage what he would think of the distances we would walk to hunt deer in the West. Four miles might be the distance we'd walk in the dark just to get situated before dawn. Then we'd continue hiking most of the day, stopping frequently to glass. In reality, a day could be broken up into potentially several four mile segments. But I kept it singular for my first question. 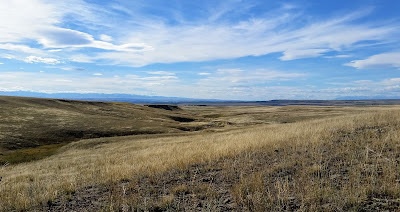 By the end of his trip we had spent several days walking many miles across rugged steppe-plateau terrain dotted with sagebrush on the rolling tops and choked with piney woods in the broken draws and canyons. Lots of it was burned. Sometimes it was snow covered. Sometimes it was muddy. 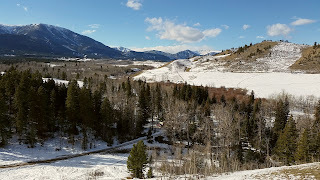 We spent other days hiking through snow in mountainous terrain, navigating aspen stands, sagebrush slopes, and evergreen forest. I don't know if I was accurately able to convey the magnitude of walking we would do, but there's no doubt it had sunk in by the end. envisioned. Day one found us pursuing a buck that had left Joel weak in the knees. After observing it at distance engaged in full-scale rut action, including running off other bucks, we made a move on it that brought us to 165 yards. We were less than four hours into an 8 day hunt. Joel didn't squeeze, and the bar was automatically set. It was a three by four with strong eye guards. It would have been a fine buck to take home. Of course I hoped we'd find a much bigger one, but at a minimum I really hoped we'd find a nice symmetrical four by four. A very classic muley. In the days that followed we saw more deer. Chased more bucks. Had close encounters with elk. 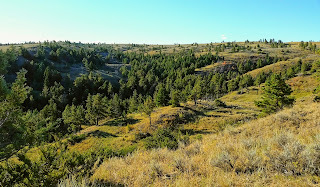 We were hunting the "breaky" terrain where prairie gave way to canyons dropping away into river bottom. We packed up and made a move to the mountains, stuffing the camper into a small cranny alongside the snow-packed forest service road. 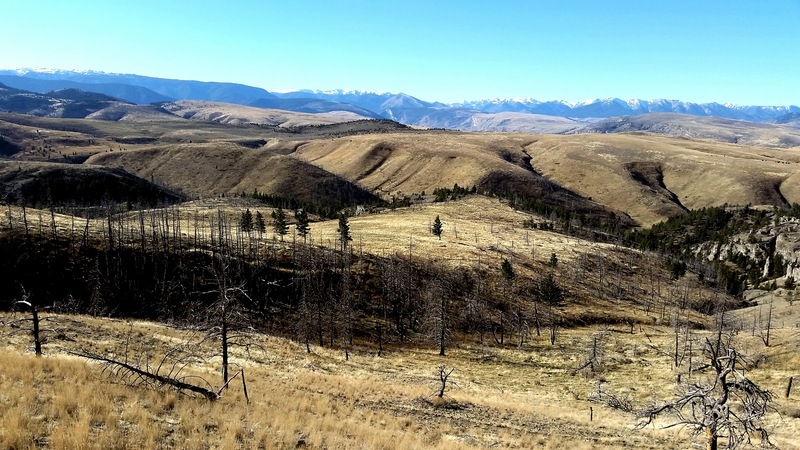 Now we would be hunting piney spruce forests, bare sagebrush slopes, and aspen thickets. There was more vertical gain and loss. Moose sign was everywhere and we were lucky enough to see a cow and calf on our first day there. On day two in the mountains we climbed a steep sideslope in the pre-dawn to gain one of my favorite ridges by daylight. I have taken two of my biggest deer here - both a whitetail and a muley. I was excited to take Joel into this country. Our first buck of the day was a whitetail more than 400 yards distant. A hunt was never possible. 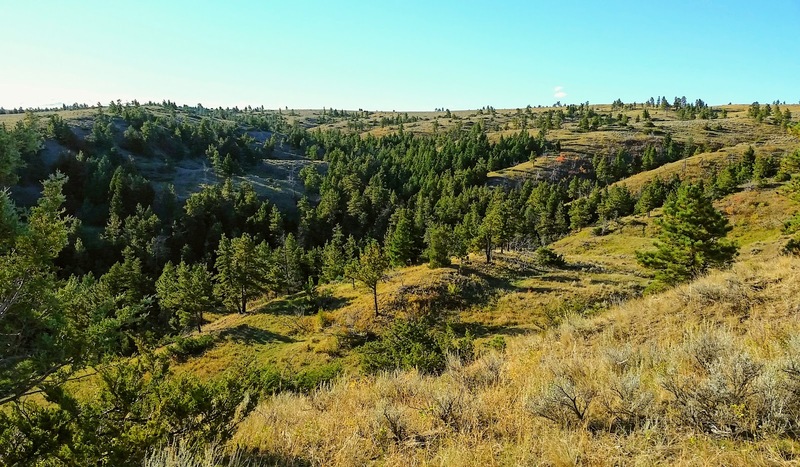 The terrain was characterized by numerous parallel ridges - the east-facing being bare and the west-facing being thickly forested in spruces and pines or aspen groves. My expectation was to start finding mule deer on the bare slopes as the sun warmed them and try to cut some off before they moved into the timber by mid day. 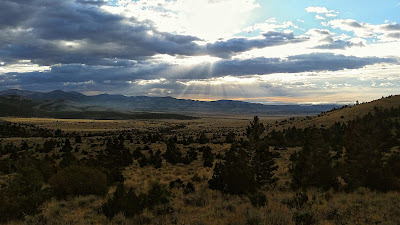 Our hunt began when we spotted deer way below us on the bare slopes where the sun was just beginning to touch. There were two groups very close to one another - each with about four does and a buck. 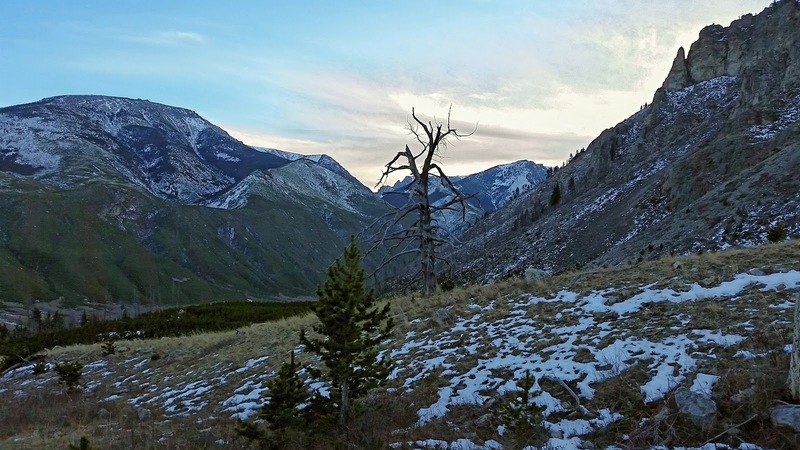 An approach would require putting the ridge spine between us and them for cover and post-holing through the shin to knee-deep snow drifted in the stiff and unforgiving aspen scrub. The snow was crusted over and unyielding. And loud. After closing some distance we would crawl out for a view, then backtrack after observing the deer's new position and whatever terrain lay ahead of us. We eased out through a small saddle we'd picked from above that would likely bring us within range. The deer had moved from the slope and had disappeared into the timbered draw below. We were now significantly lower than the main ridge we'd originally seen the deer from at sunrise. I spotted the does beginning to cross a bare spur ridge 300 yards away - an opening on a fold before they would reach the primary timbered slope opposite us. They came out and crossed the spur in pairs or groups of three, approximately in single file, and slipped into the trees on the far slope. There was a space of minutes between each group, and we advanced closer each time. At the first sign of the next deer starting across Joel would find a rifle rest while I glassed for antlers. Each time we advanced we opened more sideslope into view beneath us. When the amount of does that had appeared was just short of what we'd counted earlier in the morning I had Joel set up for a shot. The snow was too deep for his bipod, so I slipped my larger pack in front of him and he settled in solidly. The buck would be at the tail end of the group and nearly every doe had already crossed the clearing. Joel seemed skeptical that these were even the same deer we'd been getting glimpses of all morning, or that the bucks we'd seen were even still around. But I was pretty sure it was just a matter of seconds till whichever of the two bucks now presided over this herd that had apparently formed when the two smaller groups combined would be making an appearance to take his turn at crossing the bare ridge. And then there he was, sporadically visible while climbing the sideslope through the trees, paralleling the route the does had taken, probably 100 yards to the right. The snow made him visible much sooner than he would have been. I did my part keeping up with it and providing ranges while trying to make observations of the antlers to convey to Joel. But Joel had seen enough through his scope to make up his mind. He was not going to be passing on a deer again. 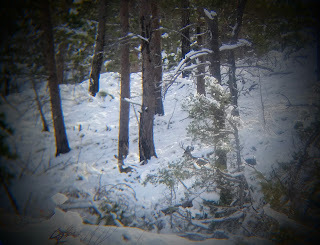 The buck broke out of the woods and started across the bare ridge, silhouetted against the snow. It wasn't till this moment that I was able to make any honest assessment of the antlers. I wanted no part of making the decision to shoot or not, but I wanted Joel to know what he was looking at. 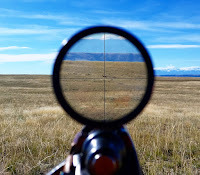 I gave ranges as the buck turned broadside on the ridge spine and then resumed staring through my binos. I was trying to count forks, but hadn't really gotten a good look yet. To my left I could hear Joel starting to count under his breath. I figured he was doing the same thing. But he was counting BDC reticle dots to correspond with the last range I had provided. The shot caught me totally off guard. But I was staring though my binos and saw the obvious hunch of fatal shot. The impact was audible. The classic four by four I'd hoped for walked less than 40 yards and lay down in the snow in plain view, not to rise again. Joel had just attempted and connected with his first shot over 300 yards. First mule deer. First long shot. First trip hunting in snow. First time in Montana. Lots of firsts. I love trips like that. 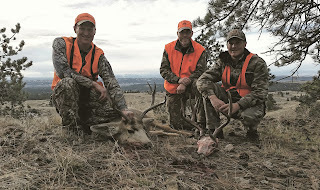 It doesn't matter how seasoned of an outdoorsman a person is, firsts are always special and fun to be a part of. 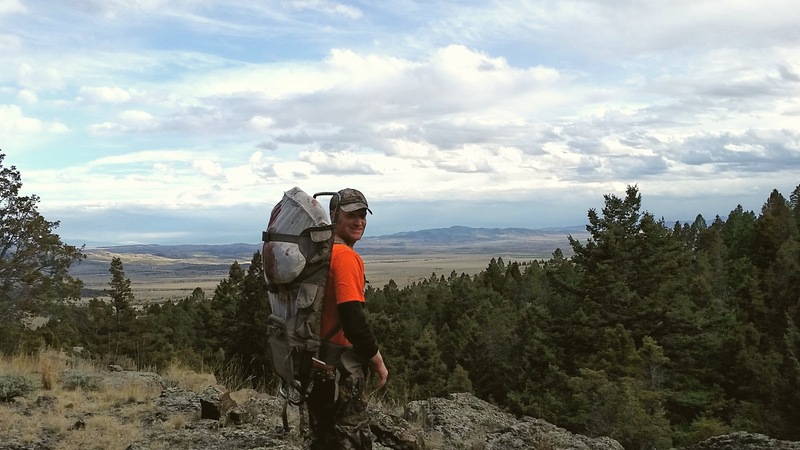 The next "first" for Joel was deboning the deer into meat bags and packing back to camp. Up to that main ridge, through drifts of snow and never-ending aspen thickets. Fallen logs buried in snow. Then along the primary ridge for a long way, down a spur, across a stream, over a shorter second ridge, and the final descent to the camper. A string of days were remaining in the season, and the focus of our hunt would shift to filling my tag. 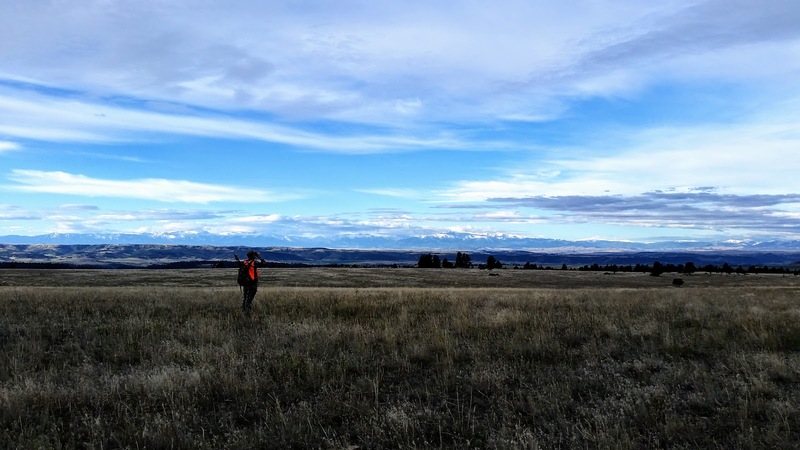 We continued to hunt in the mountains for couple days, then returned to the prairie. On the first day back in the sagebrush I passed on what may have been the biggest buck in my scope all season, much to Joel's dismay. We'd spotted the deer at half a mile, then covered ground quickly to get in its path. 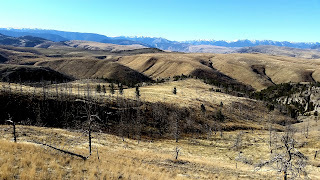 We dropped off a plateau, picked our way through the rimrocks, raced across a wide opening, scurried down a wooded tributary bottom to the main stem, crossed the stream, and came to rest on the opposite creek bank. The crest of the bank provided ideal cover and rifle rest. The buck continued forward and perfectly into view, providing broadside opportunities from 350 yards all the way to less than 200. We'd played him perfectly, and he was the best buck of the trip - but his left side turned out to be broken. I had no intention of being that much of an antler snob, but I'd shot a buck with broken tines the year before. I thumbed my safety back on. Maybe it was a mistake, but it's what I did. Taking that buck with Joel after how well we'd moved on him, how much distance we'd closed, and how he was completely unaware of us would have been really sweet. Maybe I was gambling on the odds of seeing a better one just a little too steeply, but that's the chance I took. It came down to last day and I was resigned to eating my buck tag. Travis was hunting with us in these final days. We weren't together, but were in the same terrain. He too had been passing on bucks all season - and few pretty nice ones too - holding out for what would hopefully be a big payoff. But it didn't come, and he pulled the trigger on a small four by four to finish the season. Still, it seemed like more than what I was going to do and we hiked over to his position in time to hike out with him. Our morning of the final day wasn't without action. We'd had good hunts. We'd gotten close to bucks even. But no shooters. After an entire season of looking for the "big" one and passing on larger bucks than I ultimately took, in the end it really came down to the "where" I was and the "who" I got to share the moment with. Just as the three of us started the pack out with Travis's buck, heading toward the truck for the last time in 2016, a small group of deer showed up. They were in a small tributary draw to the main one we'd just come from. Where Travis had just quartered and bagged his. I deployed the bipod at the first glimpse of movement and settled the crosshairs as soon as a buck appeared. After an entire season of careful antler scrutiny, I squeezed a shot at the first sign of tines, not even fully knowing what they looked like. It didn't matter - the moment and the circumstances called for a shot. 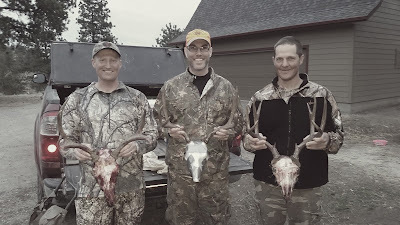 Joel, Travis, and I suddenly went from packing one buck to two. Memories were made. It's not often a shot is witnessed, let alone by two friends. The search for a big one will continue next year, likely with jerky made from the little four by four among my provisions. 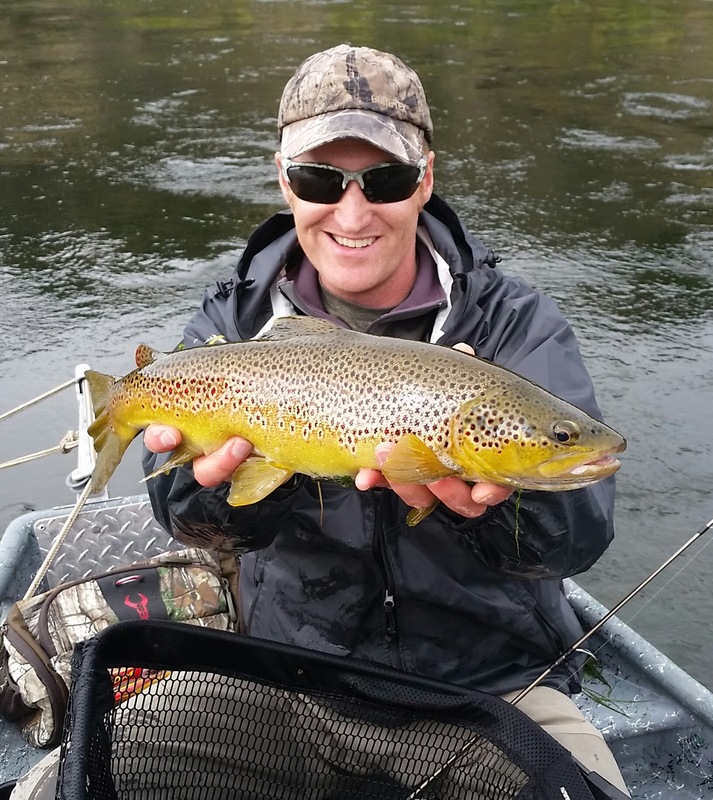 Bryan Allison - Always travel with fishing gear. Watermark theme. Powered by Blogger.